Base class for Ethernet-based Transports. Definition at line 40 of file ethernet-transport.hpp. Definition at line 41 of file ethernet-transport.cpp. References nfd::face::PcapHelper::activate(), nfd::face::PcapHelper::getFd(), m_pcap, m_socket, and ndn::net::NetworkInterface::onStateChanged. Processes the payload of an incoming frame. Definition at line 197 of file ethernet-transport.cpp. References ndn::ethernet::ADDR_LEN, ndn::Block::fromBuffer(), ndn::ethernet::Address::isMulticast(), m_destAddress, NFD_LOG_FACE_TRACE, NFD_LOG_FACE_WARN, nfd::face::Transport::receive(), and nfd::face::Transport::Packet::remoteEndpoint. Definition at line 70 of file ethernet-transport.cpp. References nfd::face::PcapHelper::close(), nfd::face::CLOSED, nfd::getGlobalIoService(), m_pcap, m_socket, NFD_LOG_FACE_TRACE, nfd::detail::SimulatorIo::post(), and nfd::face::Transport::setState(). Definition at line 71 of file ethernet-transport.hpp. Definition at line 77 of file ethernet-transport.hpp. Definition at line 105 of file ethernet-transport.hpp. Referenced by doClose(), and EthernetTransport(). Definition at line 106 of file ethernet-transport.hpp. 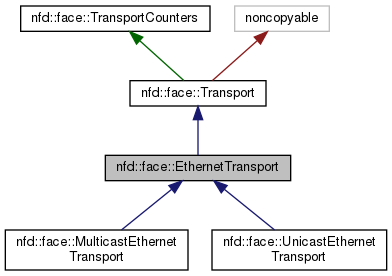 Referenced by doClose(), EthernetTransport(), nfd::face::MulticastEthernetTransport::MulticastEthernetTransport(), and nfd::face::UnicastEthernetTransport::UnicastEthernetTransport(). Definition at line 107 of file ethernet-transport.hpp. Referenced by nfd::face::MulticastEthernetTransport::MulticastEthernetTransport(), and nfd::face::UnicastEthernetTransport::UnicastEthernetTransport(). Definition at line 108 of file ethernet-transport.hpp. Referenced by nfd::face::MulticastEthernetTransport::MulticastEthernetTransport(), receivePayload(), and nfd::face::UnicastEthernetTransport::UnicastEthernetTransport(). Definition at line 109 of file ethernet-transport.hpp.